Men’s Health Supplements specific to men’s health don’t get much notoriety due to males being a bit stubborn when it comes to preventative health. To convince you hard headed men out there, would it help to know Liver Cleanse supplement can help to dramatically improve performance? Most males are interested in being strong and fit and engage in activities in this pursuit. Having toxins and heavy metals in your system that you never cleanse can cause liver problems and rob you of the strength and stamina you so desperately desire. Therefore, it’s in your best interest to boost performance through the use of detox supplements and nutrients. Yes it falls under the category of preventative health but just think of it in terms of maximizing the results from your training efforts through increased overall strength. Women’s Health When it comes to women’s health supplements, many formulas on the market are designed around awareness of quality nutrition. The demands on women’s bodies, and particularly female athletes, are no doubt much higher than for men. Our Liver Cleanse supplement is a must have supplement for women’s health in the opinion of our staff at Proteinco Canada. You can either use this supplement in conjunction with a cleanse diet or use it alone for a complete liver detox protocol. If you aren’t performing up to your expectations as an athlete, you seem to lack energy and motivation for living an active lifestyle, or if you are preparing to have children, this is a supplement to take for detoxification and boosting your immune system for whatever life throws at you. When you want to cleanse your body of heavy metals and detox your liver as well as your entire body, Liver Cleanse supplement is the formula you are looking for. We start with NAC (N-Acetylcysteine) for its’ ability to remove toxins from your body, provide a liver cleanse and boost glutathione levels. Choline is included for the fatty acid metabolism boosting properties. Inositol boosts the power of choline to help your body burn fat better. Finally we add Leucine to help you reach the deepest fat stores you don’t touch through diet and exercise. Proteinco Canada truly believes this is a liver support supplement that everyone should take regularly for the detox properties and so much more. After you detoxify your body with Liver Cleanse supplement, use it as a maintenance supplement for overall health and wellness. FOUR INGREDIENTS THAT DETOX AND CLEANSE YOUR ENTIRE BODY! Why you need our Liver Cleanse supplement? Toxins like the heavy metals mercury, lead and arsenic can and usually do build up in your body over time from various exposures you may not know about. In addition, common medications like acetaminophen can build up and cause liver damage and even liver failure in severe cases. Our Liver Cleanse supplement is the most powerful combination of nutrients we could find to help you with liver detox and to cleanse your entire body. Fat stores tend to be a collecting point for toxins so we combined nutrients to help you rid your body of excess fat, even visceral fat that is deep and not typically reached through diet or exercise of any kind. When you cleanse your body, the boost to your natural functions like your immune system and metabolism are generally very profound and noticeable. By detoxing and cleansing your body regularly, you give yourself more of a fighting chance to fend off disease and debilitating ailments. Liver Cleanse works in multiple ways to purge toxins from the deepest recesses of your body. You won’t find more powerful health improvement supplements in Canada. The benefits of this supplement are wide ranging and it’s something everyone would do well to take on a regular basis. N-Acetylcysteine (NAC) This is arguably the most important nutrient in our Liver Cleanse supplement. The health benefit list is long and profound. Just like every other supplement you find at Proteinco.ca however, we always work to maximize the effectiveness of each nutrient by combining others synergistically. With that in mind, here are just a few of the benefits and reasons N-Acetylcysteine is such an important nutrient to supplement with. N-Acetylcysteine (NAC) is one of the best liver detox supplements Toxic heavy metals such as mercury, lead and arsenic can be chelated out of your body by NAC. One of the ways it accomplishes this is by boosting glutathione levels which essentially dilutes toxins to a point they are less damaging to your body. People suffering from acetaminophen poisoning and liver damage are often prescribed N-Acetylcysteine to reverse the damage and return liver health to normal. NOTE: In the process of grabbing heavy metals and removing them from your body, NAC also shuttles other essential minerals like zinc, copper and magnesium out of your system. This makes it ESSENTIAL to take a vitamin and mineral supplement like our Multivitamin whenever you take N-Acetylcysteine in supplement form. N-Acetylcysteine (NAC) can boost your immune system Another benefit of boosting glutathione levels is from the transporting of nutrients to your lymphocytes and phagocytes, improving the strength of these immune cells and protecting your cell membranes from attack. NAC is so powerful it’s being researched and considered as a treatment for AIDS. Direct supplementation of glutathione isn’t recommended by Proteinco Canada as it absorbs poorly and our research shows N-Acetylcysteine boosts glutathione in your cells much better. N-Acetylcysteine (NAC) fights cancer Lastly, the cancer fighting properties of NAC are notable. Particularly for colon cancer, supplementing with N-Acetylcysteine has shown tremendous promise as a preventative measure. The antioxidant properties of NAC and in particular glutathione appear to have a protective property for any attacking cancer cells. Choline Bitartrate Choline is a nutrient that is grouped in with B-complex vitamins. Your body doesn’t make choline bitartrate so you must get it from foods or supplements to keep your body healthy. Its’ primary role in our Liver Cleanse supplement is for assisting N-Acetylcysteine with cleansing your body. It does this by improving fatty acid metabolism. Not only does this help you reduce body fat percentage, it can take many toxins with it. Since many toxic substances live in your body fat stores, it’s essential to burn fat, especially around your liver, in order to get a good overall detox and cleanse. Choline has the added advantage of helping to prevent liver and muscle damage from a variety of abuses you may inflict upon yourself. Inositol Much like choline, Inositol is added to boost the liver detox power of Liver Cleanse supplement. The fatty acid metabolism properties work in harmony with choline bitartrate and other nutrients included in this formula. Fruits such as cantaloupe and oranges are probably the best natural source of inositol. Other plant sources contain certain amounts but you most likely don’t get much if any inositol from them. Adding it to this supplement is important for improving the effectiveness and absorption of the other three nutrients so important to the quality of Liver Cleanse. As a bit of trivia, inositol is often used as a stand in for cocaine in movies and on TV. L-Leucine While the Choline Inositol combination helps your burn readily available fat stores, L-Leucine helps release visceral fat that is in the deepest pockets of your body. Since diet and exercise don’t really touch visceral fat, leucine is crucial for assuring a complete liver cleanse and to help detox your body completely. As is the case with every other nutrient in this top rated Liver Cleanse supplement, there are peripheral benefits that are an added bonus. Proteinco Canada truly feels this is one supplement that everyone should take on a regular basis due to the plethora of health benefits. Q –How does Liver Cleanse work? A – By helping your body rid itself of toxins and heavy metals, it essentially becomes part of a cleansing diet and health improvement regimen. All the nutrients work together in harmony to detox your entire system which helps your entire body perform more efficiently. Q – How often should I take this supplement? A – The benefits are so wide reaching we recommend you take this Liver Cleanse supplement daily. The health improvement possibilities can be so profound there is no reason not to take this top rated cleanse supplement every single day. MULTIPLE HEALTH BENEFITS FROM KEY NUTRIENTS! Q – Are there any other benefits besides the detox properties? A – Absolutely yes! One of the additional positive aspects is the fact this is an outstanding antioxidant. Anyone who exercises regularly can use the assist when it comes to damage from oxidative stress. You may also find this is a very effective weight loss supplement. For the cold and flu season, everyone should consider starting or upping their dose to fight mucus associated with illnesses affecting the lungs. Q – How many capsules can I take in a day? A – Proteinco Canada recommends a maximum of 3 capsules daily. Due to the chelating effect, we suggest you take them all early in the day and then our Multivitamin with dinner to make sure you replace the “good” minerals like zinc, copper and magnesium. Incredible Value - Buy direct from the factory and qualify for FREE Shipping in Canada! Proteinco Canada’s commitment to you is in providing the highest quality Liver Cleanse supplement at the best possible price. One of the primary ways we accomplish this is by bringing the product directly to you rather than using retail outlets where the middleman drives up the price. Every order over $99 qualifies for FREE shipping which adds even more value. Premium Quality - Strict manufacturing standards and certifications We source every nutrient in our Liver Cleanse supplement from USA and Canada sources only to assure the highest quality that is absolutely free of toxins. 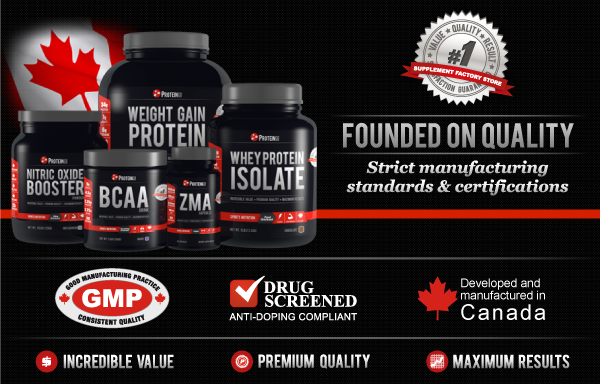 All ProteinCo.ca products are manufactured to exacting specifications. We manufacture under strict cGMP procedures to ensure the quality you require. Our quality preserving processes means every ProteinCo Canada supplement is pure and will remain potent beyond any listed expiration date. Maximum Results – Synergistic nutrients for a deep body detox and liver cleanse! This liver cleanse supplement is so powerful due to how well each nutrient works WITH every other nutrient. The form of each nutrient as well as the ratio in the formula is studied and tested to assure it works far above any claim we make. The Proteinco Canada staff all use our supplements as well so we design each and every one of our products to overachieve in every possible way. Maximum results are scientifically intertwined with every supplement we sell. Caution Keep out of reach of children, do not use if you are pregnant or nursing. Daily Nutrition Liver Cleanse is one of those supplements that are very important to take every day. Everyone misses a day here and there and this is expected. However, put this liver cleanse supplement on your list of the most important to take every day as much as possible. Proteinco Canada suggests you take the full dosage you intend to take by lunch time each day. This way you can take your Multivitamin with dinner to replace some of the key minerals that are chelated out of your body during the detox process. The positive health aspects of this body detox and natural cleanse are so important you won’t ever want to miss a day once you see how dramatically your health and performance improve.